The Goal Action Plan is a worksheet that assists you to go from identifying a goal, to working out the steps to journey from your present point to the eventual goal. It is designed to turn a big step into smaller, more achievable steps. Always remember, the journey of a thousand steps has already begun under your feet, just keep stepping. 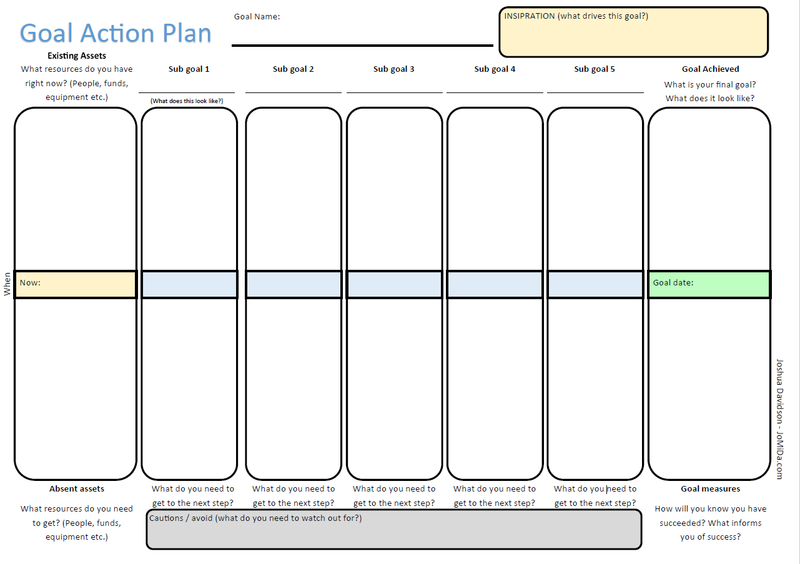 You can download a pdf version of the Goal Action Plan here: Goal Action Plan – 7 step. A goal gives us a direction to move in, an aspiration to achieve. Without any goals one can find themselves drifting and making no progress in life. It is important to name your goal. Frequently we set our sights on a goal of “everything good”, but we don’t know what that is or how it looks. It is important to put a definition of good in our “Inspiration” box, and a concrete achievable goal in our “Goal Name”. This helps to create a definition of the goal you are trying to achieve, adding focus rather than a vague “better”. When we are young, we have many dreams that we want to achieve. These dreams often shift and change, but the flavour of those dreams stays the same. When we go through hard times we often forget these dreams and thus the flavour of our future direction. The “Inspiration” section is designed to identify which direction this goal leads us in that helps us achieve our dreams. It gives substance to the goal. The “Inspiration” box is located on the top right hand side, just above the “Goal Achieved” box. Often there exists an element that holds us back from proceeding with our wants, wishes and dreams. This element can be a fear, a past hurt, a person / organisation, or a place we don’t want to end up. Often our caution is the thing that has stopped us from trying to achieve this goal before. Identifying what this element is can help you either plan solutions to the element, or how to navigate around and thus avoid that element. This helps remove the obstacles to you achieving the identified goal. The “Goal Achieved” box helps us to identify what it looks like when we have succeeded in reaching our goal. This is a descriptive section that needs to consider the emotional state that you have when you reach your goal (but not the success emotions of succeeding… that’s just a bonus!). When is a good guess of when this goal will be achieved? Generally this date can flex as time passes, but it may be important to set an upper limit to the time. This gives us an idea of how much time we have to make each step work. For example, you may decide that 1 year is a suitable time for this goal to be achieved, or perhaps 30 days. While it is good to be a little ambitious with the date of completion, it is important to ensure the goal date is practical. This is the coloured box in the middle of the Goal Achieved section, and indeed all of the other boxes too. The boxes on the far left outline what you have going for you right now. It helps you establish a baseline for your plans to achieve the goal in the far right boxes. It may seem backwards to figure out your endpoint before looking at your assets, but it does make sense. If you only make plans on what you already have, then you limit the plans you can make. Instead, make plans as if you have what you need, then work out what you have, then work out how to get what you need to get what you want. This top box is to list what resources you have right now that you can bring to bear on the plans to reach your goal. 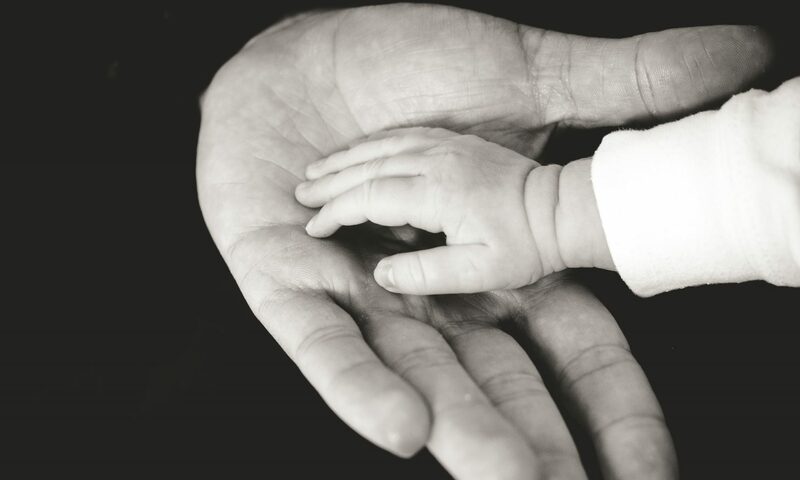 These can include many assets such as being warm and caring (if relevant), financial assets, objects, good contacts etc. Put in today’s date. This helps you work out how much time you have to achieve these plans to get to your goal. It also reminds you later when you actually started working on this plan and what you have achieved in how long when you review your progress. Now that you have worked out what you want, and what you have, it is time to work out what you are missing. It is important to identify what you think you are likely to need to make this goal succeed and add that as steps on the way to achieving the goal. For example, if you need some funds to achieve your goal, then a part of achieving that goal is to work out a plan to get those funds and then enacting that plan. It may be sub goal 2 or 3, or perhaps only a last step goal. Each one of the absent assets needs to be addressed somewhere else on this page to ensure you have it. You might discover later on that you were mistaken about needing a particular absent asset – that’s okay, you just save yourself some time and hassle. This is a dynamic document that can be updated at any time to reflect the new landscape. Each sub goal is a step from where you are now to achieving your goal. While it may seem logical to start from sub goal 1, this type of plan making works better when you go backwards. Partly because you get less bogged down in details, partly because it keeps you thinking about the big picture and focused on it looks like to have achieved your goal. Imagine you have achieved your goal. What is the step before that you need to accomplish to achieve this goal? Describe what this looks like, feels like and why it is important. Fill that detail into the top box of “Sub goal 5”. Now give it a name (fill that name in on the line under “Sub goal 5”). In the bottom half, fill in the things you need to get, achieve or locate to get you from this step to the next one. Try to avoid becoming too bogged down on details for each sub goal. They can change as you approach that sub goal and discover that your early estimates were wrong, or that something has come up that you hadn’t anticipated. You can adapt to the changes merely by altering the sub goal details and demonstrate your resilience to change. Repeat the above process for each sub goal working backwards towards your starting point. It may take a few tries before you get the right number of sub goals. You don’t have to use all 5 sub goals! You can have fewer, or more, but try not to get too many steps, or too few to achieve your goal. Take another look at the Absent Assets you identified at the bottom right of the sheet. Have you addressed these? If not, re-jig the sub goals to include achieving these missing assets. Take a look at the “Cautions / Avoid” box and ensure you addressed these in your sub goals. The Goal Action Plan is a means to divide a problem into smaller manageable parts. It allows you to take a big picture look at a goal and work out how to get that goal with in between steps. By making each sub goal an achievable step to get to your final goal, you create a plan of action. As we learn more about our eventual goal, we sometimes discover that a step we thought we needed we no longer do need to accomplish, while some steps we end up needing weren’t thought of in the first place. Sometimes the change is external, such as law changes, finances being eaten up by other problems or an assets turning out to be not so good after all. That is okay, the Goal Action Plan can change to reflect these changes. It is a rare Goal Action Plan that doesn’t get re-written. Sometimes the end goal turns out to be too big to manage on a document of this scale. That is absolutely fine. Work out the big steps needed to get to this final goal, then make a new plan on how to get from “Now” to the first sub goal of the old document as the new final goal. This divides a step that is too big into smaller, more manageable steps. Sometimes we decide that the goal is not really for us after all. We thought at the time it was exactly what we needed, but as we get closer, we realise that it doesn’t actually conform to our “Inspiration”, or that what we thought inspired us isn’t actually what we wanted to feel like after all. Take another look at how you want to feel at the other end of achieving the goal and perhaps come up with a new goal to aim for. Frequently it isn’t the arrival but the journey to the goal that is more important. Either way, we learn more about ourselves. Once you have achieved any of the sub goals, review your accomplishments. Look at what you achieved, how you planned, how you gained assets to help you, and that you have succeeded in this step. Take a look at your end goal in the right hand box. Is this still what you want? Do you want to change it? You can at any time. Once you get to the end goal, take a look at how you did the whole process, from beginning to end. What would you have done differently with the power of hindsight? This isn’t to berate yourself for what you did do , but to learn from your experiences so you can bring that learning into the next Goal Action Plan.